HOUSTON -- For the first time, a Super Bowl needed overtime, and for the fifth time, the New England Patriots are Super Bowl champions. Atlanta had a 28-3 lead midway through the third quarter. 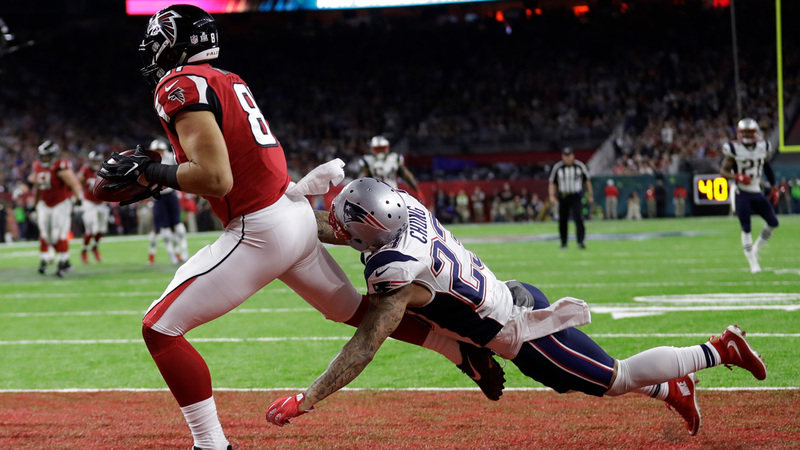 But a costly Atlanta fumble by quarterback Matt Ryan with 8:31 left in the fourth quarter helped set up the Patriots to come all the way back. The revenge tour is complete, and quarterback Tom Brady, named the game's MVP, stands alone. All five of those titles have come with Brady and head coach Bill Belichick, but this one had some slightly different circumstances. Brady missed the first four games of the regular season, serving his Deflategate suspension that was imposed by NFL Commissioner Roger Goodell. Ultimately, Brady's absence didn't negatively impact the Patriots, who went on to a 14-2 record and the top spot in the AFC. Sunday's win gave Brady the most Super Bowl titles by a quarterback and matched Charles Haley for the most Super Bowl titles by a player. Belichick now has the most Super Bowl wins by a head coach, surpassing Chuck Noll. Belichick and Brady also now have the most Super Bowl appearances as a head coach and player duo. This was just Atlanta's second appearance in its 51-season history. The team first came in the 1998 season, when the Falcons lost Super Bowl XXXIII 34-19 to the Denver Broncos.